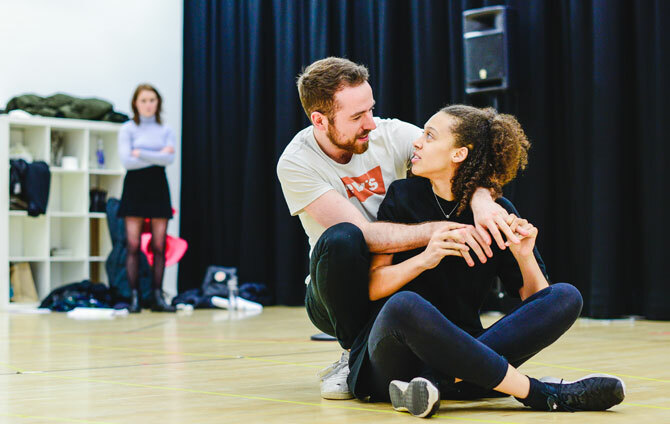 Written by Charley Miles and directed by Rania Jumaily, Spilt, part of RWCMD’s groundbreaking NEW writing season, is a surreal play about choices, relationships and what might happen if you could split yourself in three. “Working with students and emerging actors right at the start of their professional careers is just the most exciting and joyful thing: they’re so open and up for it, and have such a lack of cynicism, and an incredible sense of fun,” Rania continues. Everyone is telling Maria that this should be the happiest time of her life, but she’s got a problem. It’s not that’s she’s pregnant; it’s that her washing machine keeps exploding and causing massive ruptures in time, space and her physical reality. 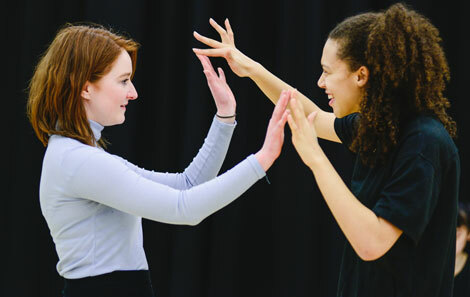 “The characters are all very close in age to the students, so they’ve been able to utilise their own experience and connection with the material, particularly as young people on the cusp of a moment of great change and huge choices, and enhance and develop the play in a unique way,” explains director Rania Jumaily.